I've been a *little* obsessed with trunks for a while now. After seeing them on a few home decor blogs and TV shows I decided we needed one as a coffee table for B's man cave. I just needed to find the perfect mix of rustic and modern. 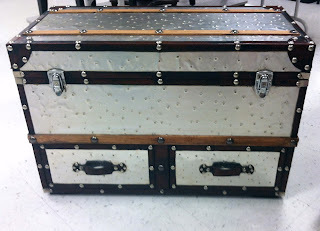 Enter the Mayfair Steamer trunk from Restoration Hardware. I loved the mix of the brushed metal with the wood, leather and nailhead trim. 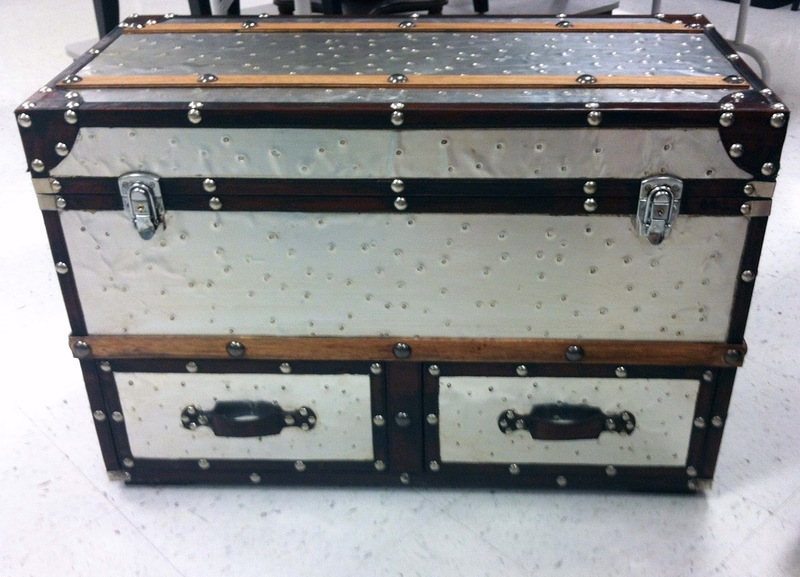 Unfortunately there is NO way I could justify spending $1,795 on a trunk. EVER. So I sadly stashed away my dreams for the perfect trunk...until one day while wandering around TJ Maxx. Hidden under a table full of random decorative items was this beauty. Isn't it pretty? It has all the same features I loved about the RH version, but for $129.99 it was quite a bit more reasonable. I'm also loving the drawers and the fact that the top is hinged and opens for storage. B got a cowhide rug last weekend from IKEA that this will look pretty cool sitting on. Can't wait for all the pieces of the room to come together! 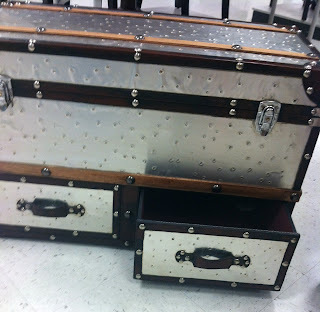 What was the name of the manufacturer of the $129.99 trunk?